Welcome to the February Stamp of the Month Blog Hop!! 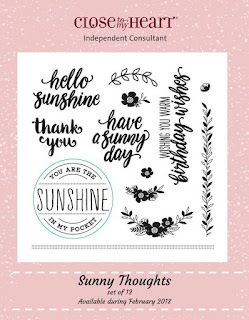 This month's stamp is Sunny Thoughts. It has 12 images. If you came from Krista Hershberger's Blog you are on the right track! The hop is one big circle so when you get back to me you will know you have completed the hop! 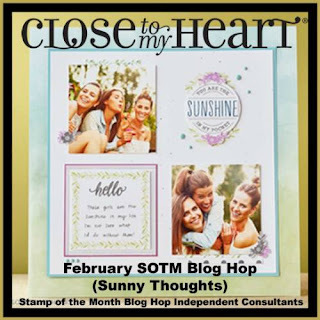 You can get the January Stamp of the Month ONLY during the month of February! 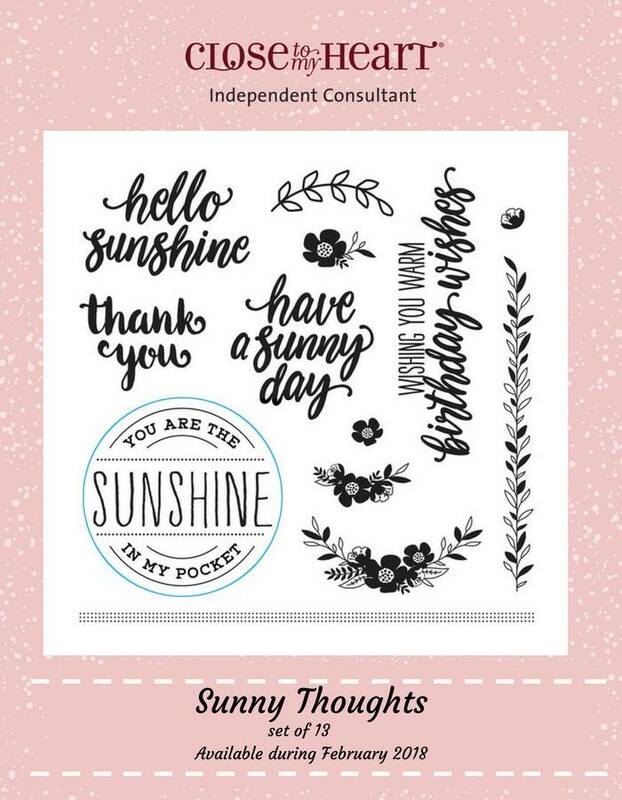 Love your pocket, what a fabulous idea. Stunning card. Your pocket is sooo cute! Ha! 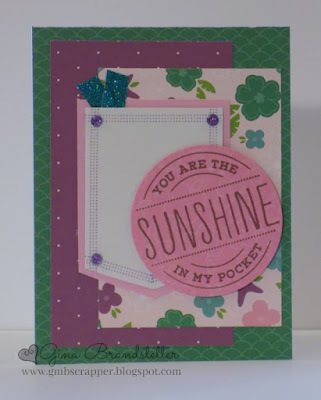 Ingenious to use the border stamp to create the pocket. VERY CREATIVE! Such a cheerful card! Great idea with the pocket!